A problem of this magnitude cannot be solved by one actor or one sector alone. Together for Girls is a global public-private partnership dedicated to ending violence against children, with a particular focus on sexual violence against girls. 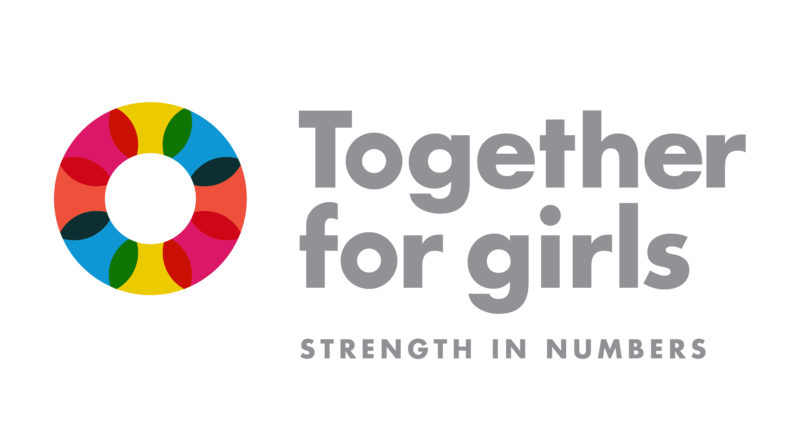 Founded in 2009, the Together for Girls partnership brings together national governments, UN agencies and private sector organizations to prevent and respond to violence, as a fundamental step to achieving individual rights and well-being, gender equality, and sustainable development. Gary Cohen is the board chair and founder of Together for Girls. He is the Executive Vice President and President, Global Health and Development at BD (Becton, Dickinson & Co). 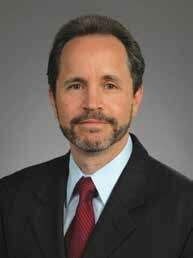 Mr. Cohen is also a board director of the Perrigo Company, CDC Foundation and UNICEF USA, board co-chair of GBCHealth. He previously served on the UN Commission on Life Saving Commodities for Women and Children and presently serves on the Scientific Advisory Board of Grand Challenges Canada. Mr. Cohen and BD engage in extensive cross-sector collaboration to address unmet health needs globally, working with international agencies, governments and non-government organizations, focused on specific health goals such strengthening clinical and laboratory practices, safely immunizing children, addressing infectious and non-communicable diseases, reducing maternal and newborn mortality, combating antimicrobial resistance and improving safety for health workers and patients. He frequently serves as an expert speaker and advocate on advancing health and human rights, in various venues including the United Nations, Vatican, World Bank, World Health Assembly, U.S. Department of State and World Economic Forum-Davos. He has been honored for his humanitarian work by MESAB (Medical Education for South African Blacks), B’nai B’rith International, UNICEF USA, the Dikembe Mutombo Foundation, the American Jewish Committee and the Nymbani Home for HIV positive children in Kenya. Mr. Cohen holds B.A. and an M.B.A. degrees from Rutgers University and previously served on the university’s board of trustees. In 2016 he was named a Rutgers 250 Fellow in association with the university’s 250th anniversary. Dr. Daniela Ligiero is the Executive Director and Chief Executive Officer of Together for Girls, a global, public-private partnership dedicated to ending violence against children, especially sexual violence against girls. 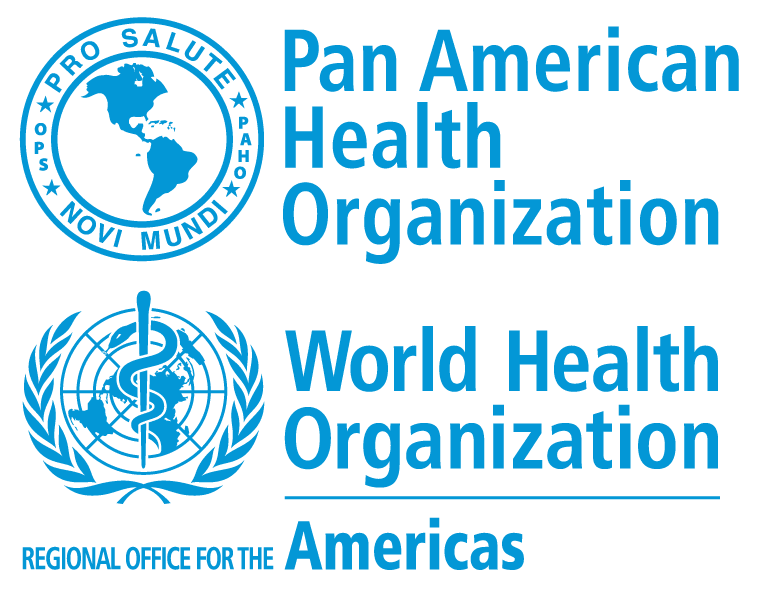 The partnership includes five UN agencies, the governments of the United States and Canada, several private sector organizations and more than 20 country governments in Africa, Asia, Latin America and the Caribbean, working together to generate comprehensive data and solutions to this public health and human rights epidemic. Dr. Ligiero also serves as the Chair of the Executive Committee of the Global Partnership to End Violence Against Children. Before she joined Together for Girls, she served as the Vice President of Girls and Women’s Strategy at the UN Foundation and developed the foundation’s gender integration strategy. In addition, she spent over five years at the U.S. Department of State where she led the integration of gender issues into all foreign policy and investments in global health—working with over 70 countries and over 1 billion dollars in investments on issues like preventing gender-based violence and improving the sexual and reproductive health of girls and women. She helped develop the first ever International U.S. Government Strategy to End Gender-Based Violence. Dr. Ligiero also served in leadership roles at UNICEF, as Chief of HIV and then as Senior Program Officer in the UNICEF Brazil Country Office. In addition, she has held positions at the World Bank and the US Senate, and has worked directly with survivors of sexual assault in a variety of settings. She is also a survivor of sexual violence herself, and has been speaking publicly about her story for the last decade. She earned her doctoral degree counseling psychology from University of Maryland, College Park, ranked the No. 1 program in the US. Dr. Ligiero is fluent in four languages: English, Portuguese, Spanish and French. Sandie Taylor is the Chief Operating Officer at Together for Girls (TfG). She previously served as TfG’s Director of Communications and Operations. Before joining Together for Girls in 2013, Ms. Taylor was senior manager of corporate marketing and communications with Conservation International’s Center for Environmental Leadership in Business, managing cause marketing activities and partnership communications with companies including Starbucks, the Walt Disney Company and Hewlett-Packard. She also held positions as a marketing manager and alumni magazine editor at the McCombs School of Business at the University of Texas at Austin. In addition, Ms. Taylor serves on the board of directors for Latinitas, a nonprofit empowering young Latinas using media and technology, and has volunteered for the organization for more than 10 years. She earned her MBA from Wake Forest University and a bachelor’s degree in journalism with a concentration in women and gender studies from the University of Texas at Austin. Chrissy Hart is the Senior Advisor at TfG, overseeing the partnership’s work in sub-Saharan Africa. She has been working in the area of human rights, gender equality, and international development for over a decade. Chrissy served as a Peace Corps Volunteer in Burkina Faso in the area of girls’ education and empowerment, followed by positions working in advocacy, partnerships, and research at RFK Human Rights, the University of Denver’s Human Trafficking Center, Women Thrive Alliance, where she lead the organization’s portfolio on gender-based violence, and most recently, the UN Trust Fund to End Violence against Women and UN Women. She holds a B.A. in Political Science from Colgate University and an M.A. in International Human Rights from the University of Denver. Katherine Brandon is the Director of Communications at Together for Girls, where she leads the partnership’s communications and advocacy activities. Prior to joining TfG in 2016, she spent nearly six years leading communications for the girls and women’s portfolio at the United Nations Foundation. Previously, she worked in the press office in the U.S. Senate, the White House, and on political campaigns. She graduated with honors from the University of North Carolina at Chapel Hill with a degree in Journalism. Begoña Fernandez is the Senior Technical Officer at TfG, a public-private partnership dedicated to ending violence against children, particularly sexual violence against girls. At TfG, she oversees the data-to-action model in Latin America, Southeast Asia and Eastern Europe. Begoña has a background in sexual and reproductive health and health policy and over seven years of experience working in both domestic and global public health programs. She holds a Master’s degree in Public Health from the Columbia University Mailman School of Public Health and a BA in International Economics from American University. Alexandra Tucci is the Senior Communications Officer at TfG, previously serving as the Global Health Corps fellow from 2017-2018. Prior to TfG, Alexandra worked in healthcare communications and digital strategy with public relations firms GCI Health and Porter Novelli, specializing in patient advocacy and corporate social responsibility. Past clients include: Johnson & Johnson, Pfizer, Bayer, Biogen, Merck and the U.S. Centers for Disease Control and Prevention. Alexandra graduated from the University of Alabama where she earned dual degrees in international studies and advertising/public relations. Millicent (Millie) Knopp serves as the Communications and Youth Advocacy Officer at TfG. Prior to her fellowship placement at TfG Millie conducted a practicum at a women’s health organization in East Africa conducting research on women’s reproductive health grassroots advocacy and policy reform in Dar es Salaam, Tanzania. Millie has over five years experience working in various program management roles focusing on different thematic areas including women’s professional development and philanthropy, youth engagement and mentorship, sexual health education and early childhood literacy. Originally from Kansas City, Kansas, Millie recently completed her MA in Sustainable International Development from The Heller School of Social Policy and Management at Brandeis University and received her BA in Psychology and Sociology from the University of Missouri-Kansas City. Kelly is the online community manager for TfG, utilizing TfG’s global social media presence to share the powerful stories of survivors and data-driven solutions to violence against children. Kelly is also a licensed social worker at the Rush University Medical Center’s school-based health center at Simpson Academy for Young Women—the only Chicago Public School serving exclusively pregnant and parenting teen girls grades 6-12. Kelly received her MSW at the University of Illinois at Chicago, and specializes in trauma-informed therapy for adolescents. Kelly is a former Global Health Corps fellow and a certified sexual assault/crisis intervention counselor—previously volunteering as an ER medical advocate supporting survivors of sexual violence. Karen Carolonza is a proven public relations and communications professional with more than 20 years of global experience in the healthcare, chemical and TV news industries. Karen is one of the founding partners of Green Room Communications and built strategic communications teams around the country with a headquarters in Northern New Jersey to meet the critical and evolving needs of her clients. Green Room recently celebrated its 10-year anniversary providing corporate and brand communications, media relations, advocacy relations, creative services and contract staffing to global healthcare companies. Before starting Green Room, Karen was the director of worldwide public relations at BD (Becton Dickinson & Company) and was responsible for the creation of the first-ever global public relations department. She and her team developed public relations and advocacy programs in support of key businesses including, HIV/AIDS, TB, Diabetes, Influenza, Healthcare-Associated Infections, Ophthalmology, and other global health issues. During her time at BD, Karen liaised with UNAIDS to announce the Clinton Foundation’s move to cut prices on AIDS tests. Karen also served as a volunteer on the CDC Foundation to advocate for Health Protection Goals. Prior to joining BD, Karen was responsible for leading public relations teams and programs at the Pharmacia Corporation (now Pfizer) supporting the Hospital Products and Oncology businesses. She also served as communications lead at DuPont-Merck as part of the launch team for the first, once-daily HIV medicine. Karen has additional expertise in corporate PR, including Exxon Chemical Company where she was hired away from TV news to help manage the Valdez crisis. Karen spent the first part of her career as an NBC affiliate television news reporter in the Midwest and in cable news on the East Coast, reporting on key healthcare and political issues. Karen is a member of the ExlPharma PR Steering Committee and chaired its annual national Summit for six years. She is also on the Boards of a Soft Bones: The U.S. Hypophosphatasia Foundation, and cancer organization, Mary’s Place by the Sea. She has been recognized as a Leading Woman Entrepreneur in New Jersey and in 2014, was among the top 25 in the state. In 2016, she was awarded Brava’s SmartCEO award. Karen resides in Mountain Lakes and Ocean Grove NJ and is married to her husband, Stephen and has three teenage children, Todd, Sara and Kate. Francis Barchi is assistant professor in the School of Social Work and a member of the Institute for Health, Health Care Policy, and Aging Research at Rutgers University. Prior to joining the faculty at Rutgers, she was a senior fellow in the Department of Medical Ethics and Health Policy at the University of Pennsylvania where she continues to develop training programs in clinical and research ethics for health professionals and members of ethics review committees in developing countries. Current programs include training activities for clinicians in Tanzania and Guatemala, and the development of a clinical ethics curriculum for nursing faculty and students in Botswana. In addition, Dr. Barchi is an associated faculty member of the Edward J. Bloustein School of Public Policy and Planning at Rutgers and a member of the Center for African Studies. Dr. Barchi’s personal research focuses on global health ethics as well as the social and behavioral factors that influence women’s health in southern Africa. In 2009, she completed the first major quantitative study on women’s autonomy and gender-based violence in northern Botswana, the findings from which identified strong associations between alcohol, violence, and poor health outcomes. She is currently studying comprehension and voluntariness among HIV-positive women being screened for cervical cancer at a government clinic in Botswana’s capital city and examining the extent to which understanding may impact a woman’s adherence to recommended treatment and timely return to follow-up care. In addition, she is heading an NIH-funded effort through the Penn Center for AIDS Research to explore IRB perspectives in Botswana on the collection, use, and storage of biological specimens for HIV research. At Rutgers, Dr. Barchi currently teaches a doctoral course on research ethics and integrity in the social sciences and an undergraduate introductory course on global health. She also regularly visits Botswana where she leads training initiatives in research ethics for university faculty, members of ethics review committees, and community advisory groups. Dr. Barchi holds a PhD in Social Welfare from the University of Pennsylvania in Philadelphia and Masters degrees in Bioethics and Non-Profit Leadership from the same institution. She completed her undergraduate degree at Smith College in Northampton, Massachusetts. Michele Moloney-Kitts is currently an independent consultant, serving on the Board of Directors of the Together for Girls partnership and as the Vice Chair of the Technical Review Panel of the Global Fund for AIDS, TB and Malaria. Professionally Michele has been a leader in international public health for over thirty years. She most recently served as the founding Executive Director of Together for Girls, a private public partnership dedicated to ending violence against children and as a Senior Advisor to the Executive Director of UNAIDS. A career foreign service officer with USAID, Michele also served as the Assistant Global AIDS Coordinator for the U.S. President’s Emergency Plan for AIDS Relief (PEPFAR) responsible for oversight of field implementation and multilateral relations, including on the Board of the Global Fund for AIDS, Tuberculosis and Malaria where she also served as Chair of the Portfolio and Implementation Committee. Other USAID assignments included long term postings in Morocco, Cambodia, South Africa and Washington, DC. Michele began her career as a nurse practitioner and a nurse midwife, with a particular focus on underserved populations, especially adolescents. She holds a Bachelor’s Degree from Boston College and a Master’s Degree from the University of Pennsylvania. Now a resident of Chatham Mass., she is an active member of Friends of the Marconi/RCA Triangle, serves as a volunteer land steward for the Chatham Conservation Foundation and is on the Board of Directors of the Friends of Chatham Waterways.